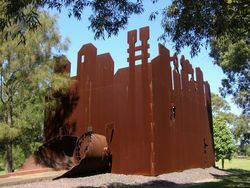 A memorial sculpture for Newcastle BHP Steelworkers commemorating the closure of the Steelmaking Plant. The Sculpture resulted from an artist initiated project with the Workers Cultural Action Committee called The Molten Arts Project. 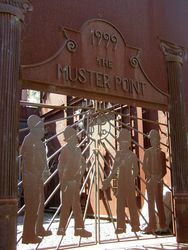 Following an eighteen month artist residency at the Steelworks, The Muster Point was constructed in the Fabrication Shop on site by the artist and BHP employees. 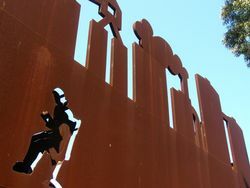 The steel and bronze monument, standing eight metres high, 16 metres in length and 12 metres wide, was installed along Industrial Drive, opening two weeks before the plant closure in September 1999. 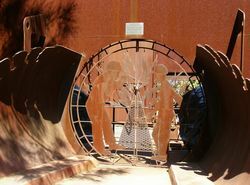 A cross was built into the sculpture to honour those people killed at BHP. 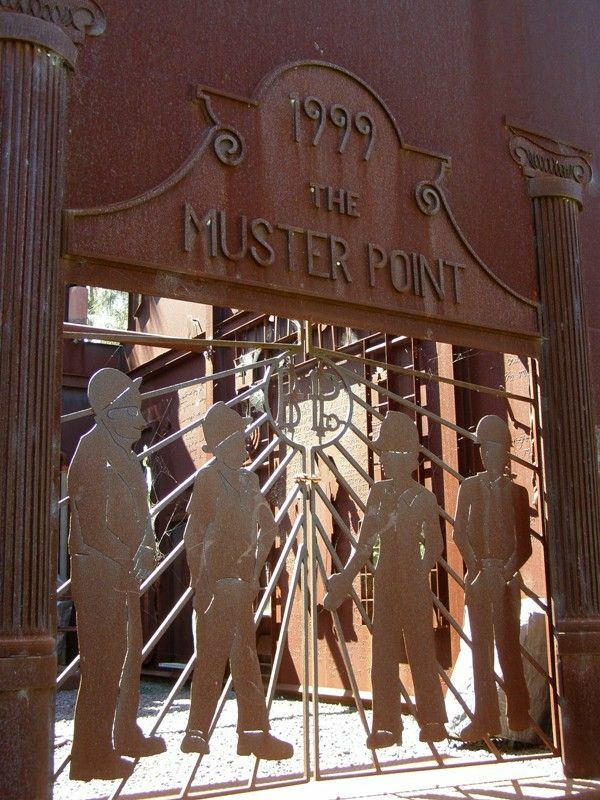 In 1911, BHP chose the city as the site for its steelworks due to the abundance of coal. The land put aside was prime real estate, on the southern edge of the harbour. 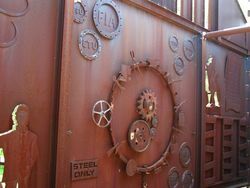 In 1915, the BHP steelworks opened, beginning a period of some 80 years dominating the steel works and heavy industry. As Mayfield and the suburbs surrounding the steelworks declined in popularity because of pollution, the steelworks thrived, becoming the region's largest employer. 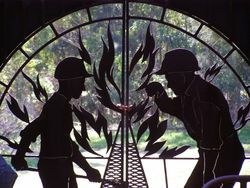 In 1999, the steelworks closed after 84 years operation and had employed about 50,000 in its existence, many for decades.